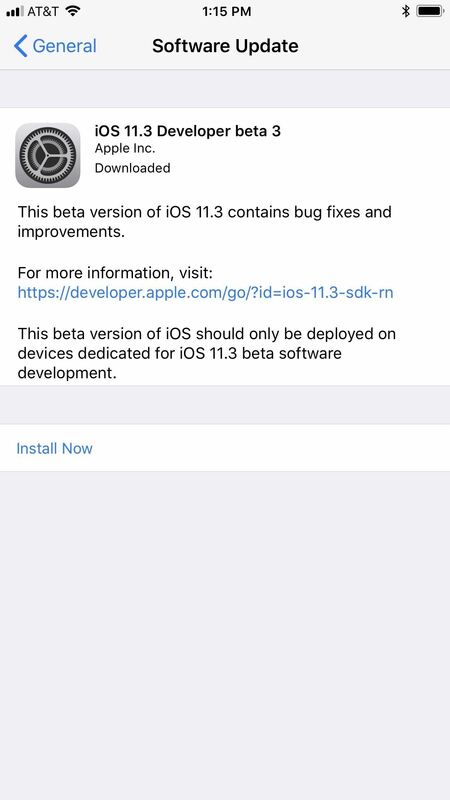 Apple just released the third beta for iOS 11.3 on Tuesday, Feb. 20, which comes exactly two weeks after the release of iOS 11.3 beta 2 that brought battery health data and performance-throttling controls. At first glance, iOS 11.3 beta 3 seems to be mostly under-the-hood improvements, but we'll know more as we dive into it. You can download the newest beta version now if you're a developer or public beta tester with a valid configuration profile. Just go to "General" in your Settings app, then tap on "Software Update." 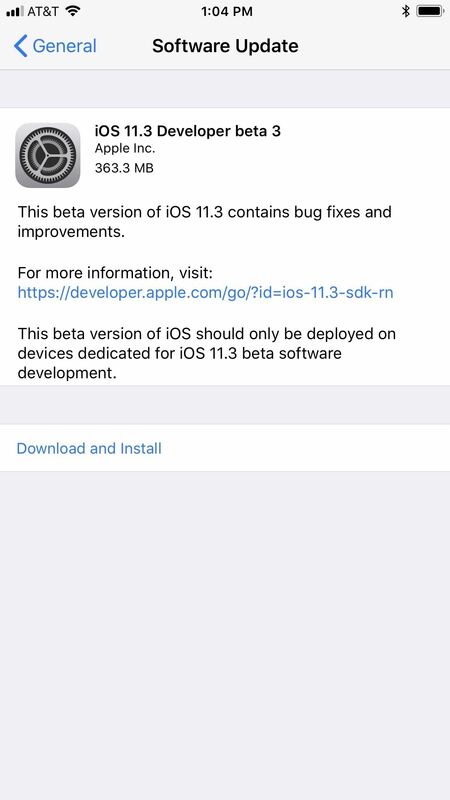 Next, follow the on-screen instructions to download and install iOS 11.3 beta 3 onto your iPhone. This iOS 11.3 beta 3 update introduces support for the 6th generation iPod touch, among minor bug fixes and stability updates. While not necessarily exciting, Apple needs to focus on these types of patches across the board. Overall, iOS 11 has had a buggy, controversial rollout, with Apple reportedly shelving iOS 12 features to make time for broader fixes. 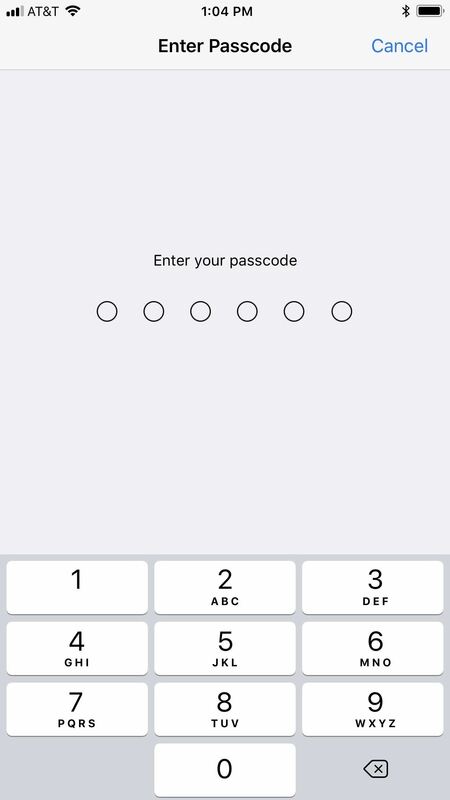 However, the release notes for iOS 11.3 beta 3 states that "after updating a device to iOS 11.3 beta 3 the host computer may not recognize the device," so make sure you're aware of that if you connect to your computer a lot. Also, if you were loving the functionality of AirPlay 2, all traces of it have seemed to disappear in iOS 11.3 beta 3 (we really hope it'll show back up in beta 4). Last week's beta included Apple's answer to its battery scandal late last year. iPhone owners now have much more transparency when it comes to their battery's health and longevity, as well as control over whether performance will be throttled to prevent unexpected battery shutdowns. The latter only affects iPhones with aging batteries that have experienced at least one of these shutdowns. We are expecting other new features to arrive as soon as beta 4 hits in future weeks. While the first two betas saw the long-awaited Messages on iCloud, AirPlay 2, and the aforementioned battery health additions, we're still waiting on Business Chat, which Apple hopes will make customer service as quick and convenient as its Messages app. Business Chat will be available in beta in the full public release of iOS 11.3 this spring.